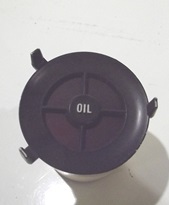 This is a USED GM oil pressure warning light assembly for use on 1970 - 1981 Camaro models that do NOT have the full U-14 Gauges. AKA is for use on gauge clusters with only warning lights for oil,temp and volts. Unit is in great shape and installs in minutes at home. 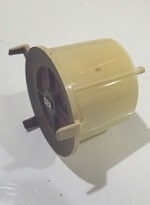 This is a 1970 - 1981 Camaro oil light indicator tunnel. For use on all 1970 1971 1972 1973 1974 1975 1976 1977 1978 1979 1980 1981 Camaro clusters without gauges! This is a Used GM unit in good shape. Ready to install! WORLDWIDE SHIPPING AVAILABLE ON THIS PRODUCT!